Are you a coffee lover? If you're one, I would tell you the Nescafé Gold Blend Barista machine is the best choice for you. This barista machine is designed to provide you a lifestyle preference for cafe style, barista-made coffee. 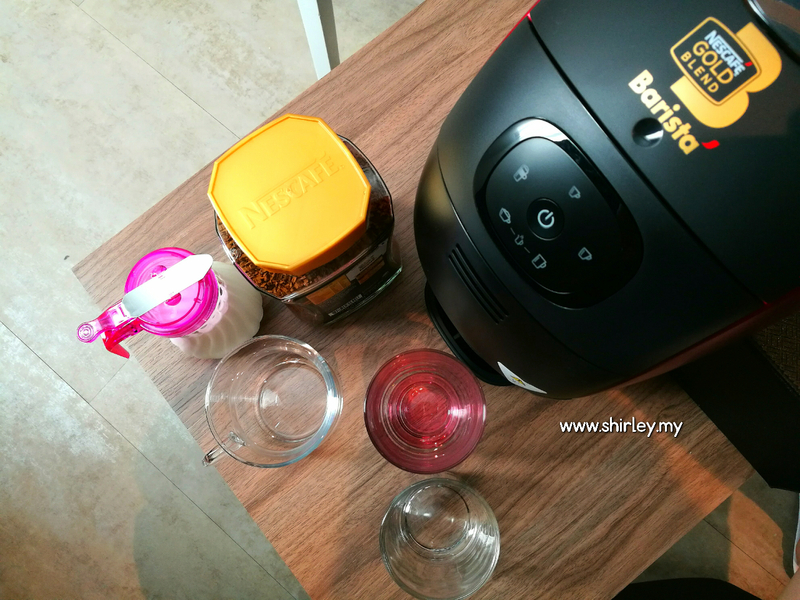 Without heading to cafe to buy a cup of brewed coffee, I can actually now make it myself at home with Nescafé Gold Blend Barista machine. I am so much excited now whereby I am going to play around with Nescafé Gold Blend Barista machine. Before this, I get to prepare some beautiful cups for brewing. Of course, it would be much enjoyable if you can use a clear and transparent cup for brewing your coffee with the barista machine. I know it might be troublesome for you when you have found out that there are no available transparent cups at your home. But you might be surprised on why you should do so after my brewing progress later. 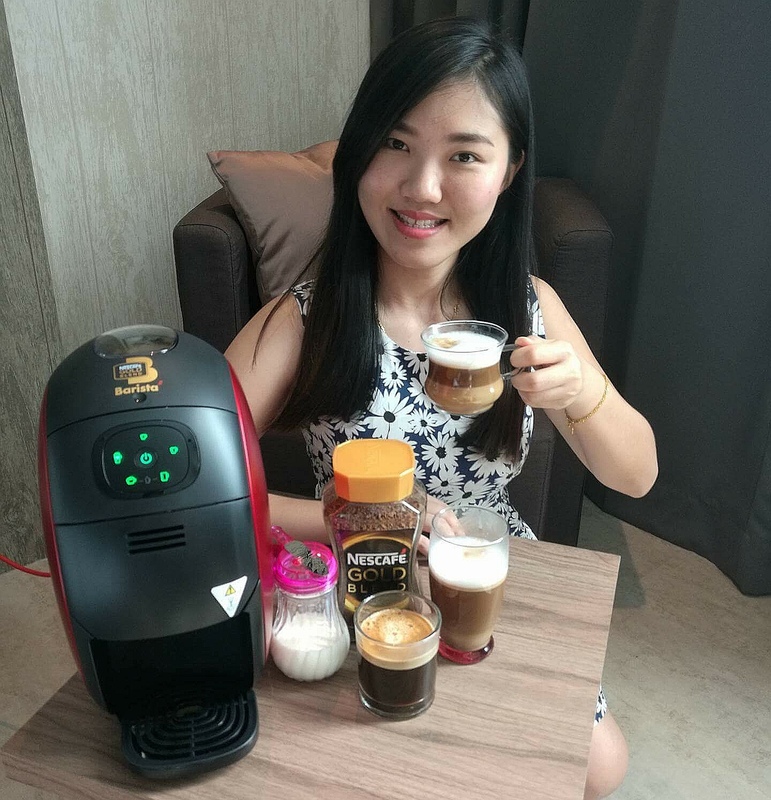 There are five different cafe-style coffees can be made by Nescafé Gold Blend Barista machine. 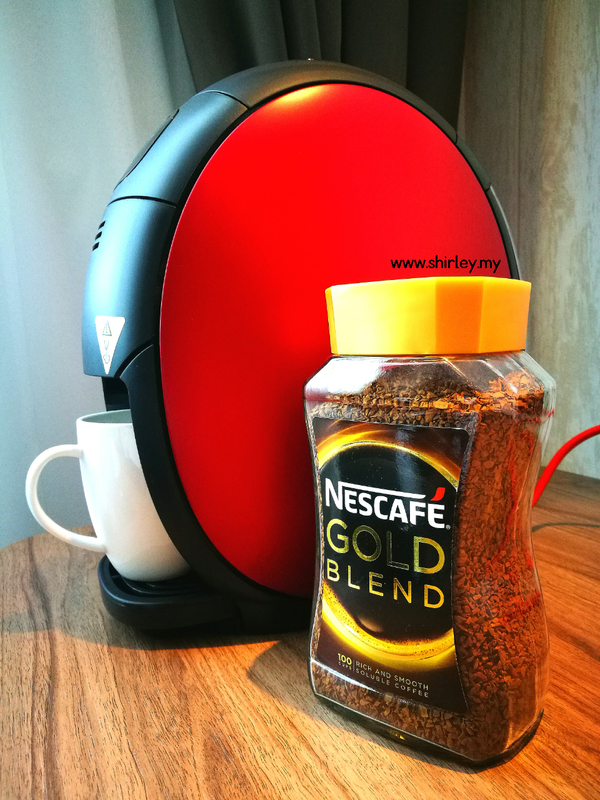 One thing to take note, this is the very first coffee machine that works without capsules as it only requires the Nescafe Gold Blend coffee. So, the machine can only work with Nescafe Gold Blend coffee itself but not others. 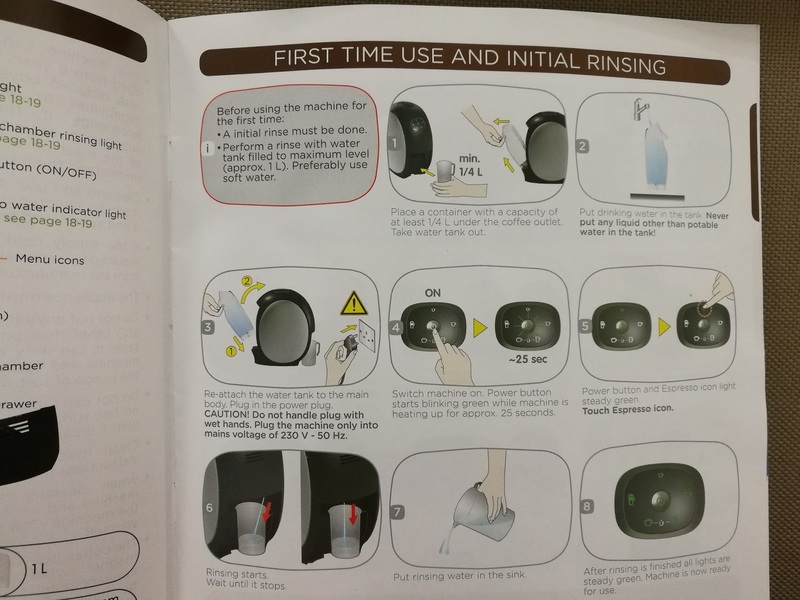 Before using the machine for the first time, an initial rinse must be done. I am so worried on how to get start for the very first time until I saw an user manual in the box. The user manual is so much helpful and very easy to understand. Before my first time usage of the barista machine, I perform a rinse with water tank filled in about 1/3 of soft water. Don't forget to place a cup under the coffee outlet during rinsing. Then,switch the machine on and wait for about 25 seconds to let the machine to warm up. 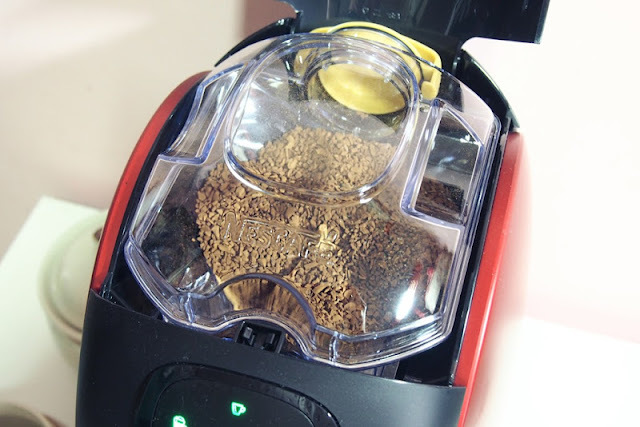 Once the power button's blinking stops, both power button and espresso icon light is in steady green, so touch the espresso icon to begin the rinsing process. After rinsing is finished, all lights are turned to green whereby machine is now ready for use. The amazing part of this barista machine is that you can watch the layering of the coffee while brewing. 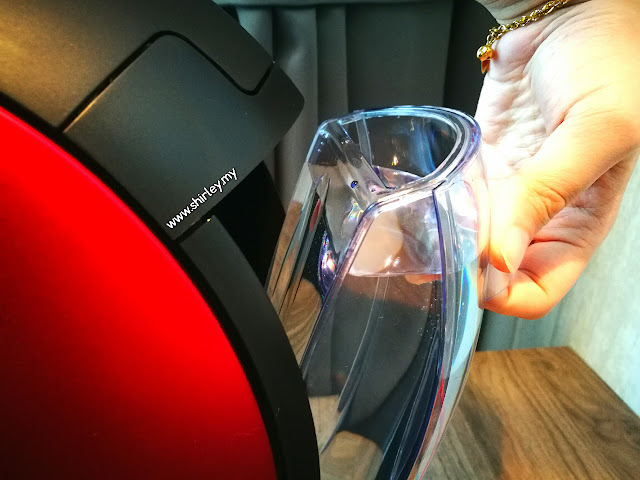 This is why I suggest you to use a transparent cup for making coffee whereby you can really enjoy the coffee after that. I would say that Nescafe Gold Blend Barista Machine has brought me so much convenient to make coffee on myself at home. I have been always dreaming on myself having a brew machine at home so I can brew coffee and make coffee art. So now, I could say that my dream has come true with owning this barista machine. I am in love with this machine as it is super easy to use. All I need to do is to just touch the button and get start on making my coffee. And also, Nescafe Barista Machine comes with one year warranty guarantee. 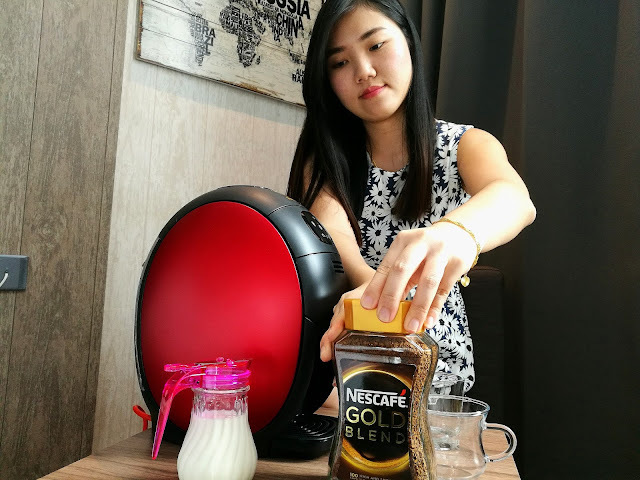 For your information, I get the Nescafe Barista Machine from Lazada. 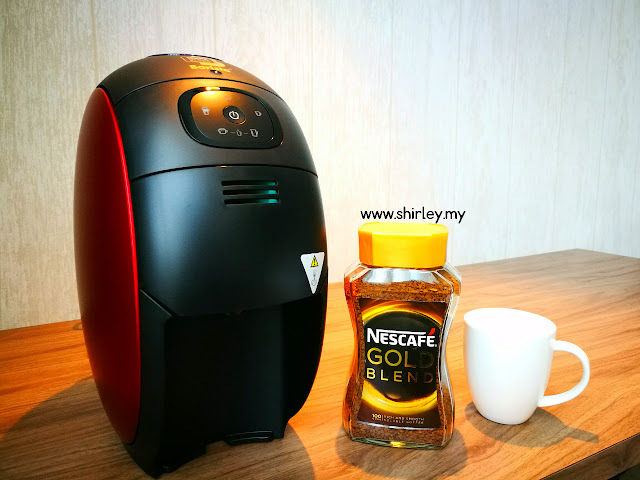 It costs me at RM239.00 only and I get the machine together with 1 Nescafe Gold Blend 200gm Jar and 1 Nescafe Gold Blend Refill Pack. It's worth right? Retail price is about RM399 so it's a big steal to buy and own it now!